Do you know what color your roof is? This might seem like a funny question because we don't look at them often. So why do so many people dislike the look of solar panels? Maybe it's because they're different and change is hard. But the cost to buy solar panels is dropping and federal solar tax credits have been expanded, so they're becoming more commonplace. Maybe it's time to start thinking about solar panels for your house? Would it make a difference if you could see how much you could save over twenty years? With today's federal tax credit covering 30% of the cost to install a solar system, the return on solar panels is fairly good. You might think there's a lot of number crunching to calculate how much you can save with solar. Maybe, but there are online calculators that make it pretty easy. Here's what EnergySage.com provided after giving them my address in Arizona, plus monthly electric bill. Want to learn more? EnergySage is “powered by” the US Department of Energy's SunShot initiative focused on lowering the cost to buy solar panels, to increase the adoption of this sustainable resource for energy generation. Shortly after I shared this article, I heard about Google Project Sunroof. It's a lot like Google Earth, where you can see a street view of buildings around the world. The difference is they're now looking at roofs, and using the data they've collected to estimate your potential solar savings. All I had to do was type in my Arizona address, and this is what came back. In the lower left quadrant, you can move the yellow ball to reflect your average monthly electric bill. As your electric bill increases, the recommended solar system size also increases. Amazing! If you simply can't get past the look of solar panels you can prepare for what's coming next. Tesla who you probably recognize for their electric powered cars, has announced solar shingles that look like the shingles you're used to seeing (read: Redefining What a Solar Roof Looks Like). 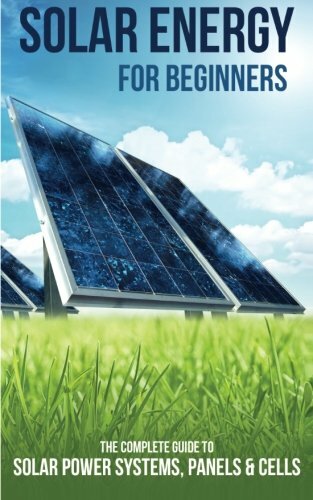 There are some important concepts involved in solar energy that are important to understand, as they're going to affect all of us as the electric industry changes. The electric grid that delivers our electricity today, is dealing with infrastructure maintenance issues similar to problems with our roads, dams and more. To make repairs and prepare for the energy evolution underway, how we pay for our energy is starting to change (learn How Solar Rates are Changing in Arizona). Do you know how many kilowatt hours (kWh) you use each month? Or how much your electric bill is? The average US residential customer used 901 kWh per month in 2015. But averages don't tell the whole story. According to the US Energy Information Administration, Louisiana used the most energy at 15,435 kWh/mo while Hawaii had the lowest usage at 6,166 kWh. Click here to compare your bill against your state's average. The important concept is hidden in plain sight. Electric companies and the US grid that delivers electricity to your house, must build their infrastructure to satisfy peak requirements, not average usage! That's why we experience brownouts as air conditioners are turned on during heat waves. Let's look at the supply and demand of energy used in a home with solar panels. The panels on your roof will generate energy while the sun is up (less on cloudy days), from early morning to sunset. Now think about when you're home and using electricity. You should quickly realize that most of the electricity used in your home happens in the evenings. You can use the energy immediately to cool or heat your home, and run appliances like your refrigerator and hot water heater. When generating more energy than you can use, you can store excess energy in batteries like those Tesla car owners use to power their cars. If you don't invest in battery storage, then you'll send your excess energy out to the grid, where it can flow to other homes/businesses for immediate use. Utilities must generate enough electricity to satisfy peak demand for everyone. While solar energy can't be scheduled, our utilities must generate enough power to satisfy peak demand using like fuel burning generation they can start and stop. The alternative for utilities is to lower peak demand. They've already done this with businesses like manufacturing, and now it's time for consumers like you and I to balance out our use of electricity. They're doing this by offering lower electric rates during off-peak hours. It will take time for us to learn how to cool our house in the afternoon to lower demand in the evening. We don't have a lot of tools to help us do this today. Don't you think it's the perfect problem looking for a home automation solution? Your next steps depend on how quickly you want to add solar panels to your home. Here are additional resources to help you learn more and become a smarter consumer of energy. Planning a Home Solar System, from Energy.gov. Homeowner's Guide to the Federal Investment Tax Credit for Solar, walks you through all the terminology and formulas to understand how to calculate tax credits. Read The Grid: The Fraying Wires Between Americans and Our Energy Future. Use an energy monitor like TrckleStar, to monitor home appliances and reduce electric usage, focusing on lowering your usage during peak evening hours. Yes, I've started measuring my electric usage and will be sharing it here at HomeTipsforWomen. I've also read (actually listed in the car) to the book above, The Grid, which is how I've learned so much about the industry. 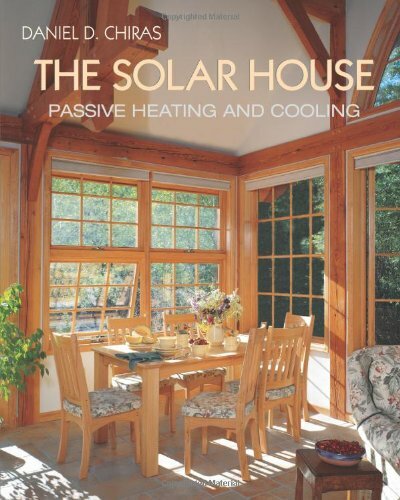 Here are some other books you might find helpful as you move into the new world of green, sustainable energy. What do you feel is the most important reason to install solar panels? What other green building changes are you considering for your home? Have you ever used federal tax credits to make home improvements? Interesting article. Installation of solar panels is most effective in climates with a high average yearly temperature (for example, cities in California). I live in Philadelphia and installed solar panels for hot water. Installation of solar panels and all additional system parts, I was helped by a professional company. But in the winter, these panels receive a smaller amount of direct sunlight. Because of this, their effectiveness is reduced. So I decided to combine solar panels with a classic water heater. This made it possible to get a very efficient system! Sounds like you made the right decision & hope you’re finding the solar hot water heater worth the investment. Great information. It’s crazy how much energy we use sometimes and don’t even realize it. Yes, there was once a provincial tax credit when we did home renovation. It would be a dream come true, to have solar panels but it won’t happen anytime soon. We’re waiting for government subsidiaries like they did in Europe. 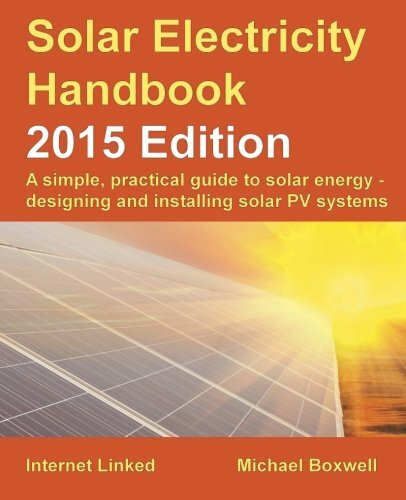 I have been researching solar panels for the last few days and deciding if its right for me. Have you seen the new solar tiles? I really want solar panels for my home. But they just aren’t on our budget. Colleen, I suggest you do a little research because many parts of the country offer a 20 year lease where you have to put in little/nothing up front. You simply pay monthly as if you’re paying for your standard electric bill. It is a really good investment. In Spain they’re so popular. I am not sure we can have them in England lol, but I totally recommend them too. Lorena, I’m sure you can have them but with all your overcast days, they may not generate enough power to justify the investment. I’ll watch for how well solar is being installed in the Seattle area, as I think their weather is similar England. I have a friend who is in this business of installing solar panels. I have not yet any installed in my house but we are seriously considering it. The price of electricity is ridiculous! We hope to get solar panels in the future. I love the cost savings over time as well as cutting down our carbon footprint. I am impressed with how much they have improved and changed! Emily, Sounds like you’ve been researching solar for a while. Good luck getting them installed … soon enough to benefit from the federal tax credits. Solar energy panels are a good investment. It might be a little pricey but it’s really going to help lower your bill and not to mention, save the environment. It’s definitely something that I’ve been thinking of getting for some time now. Glad you’re on board Elizabeth. I see this a lot in California. I think its a great idea. Yes, I think California is quite progressive & not sure, but guessing they have state tax credits that can be combined with the federal tax credits to make the decision pretty easy. I have solar panels and love them! They have drastically reduced my bills. I used Erus Energy and highly recommend them. They are in Arizona, but I think also a few other states. I don’t have a website of my own so I put Erus’s. Thanks Jesse, for sharing all this info & glad you love your solar panels. If I owned my own home, I think solar panels would be a good investment. I’ve always thought they’d be the best choice. Sounds like you had what’s called a solar hot water heater. Unfortunately it didn’t have backup for when there wasn’t enough sun … sorry. I am definitely interested in this idea. I don’t like the gaudy look of them, but I like what they do. I’m excited about solar shingles. I can’t imagine something more perfect than that!